Excellent example of tungsten mineralisation for which Yaogangxian mine is famous. 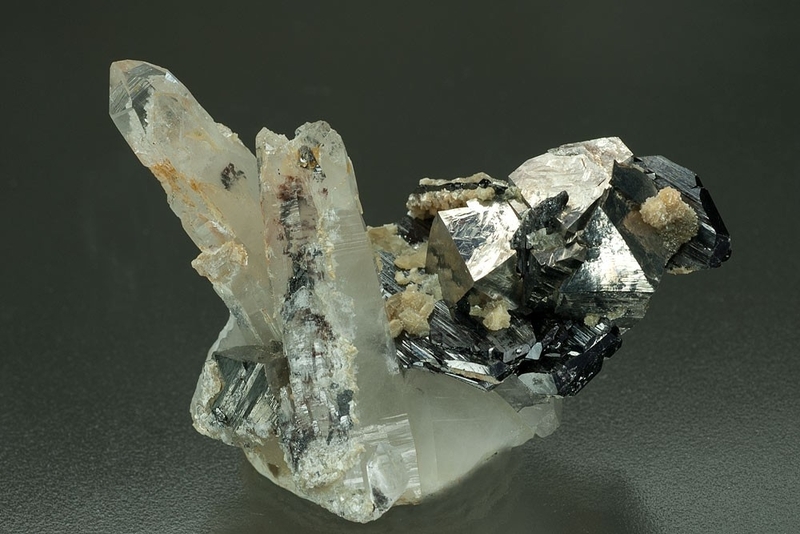 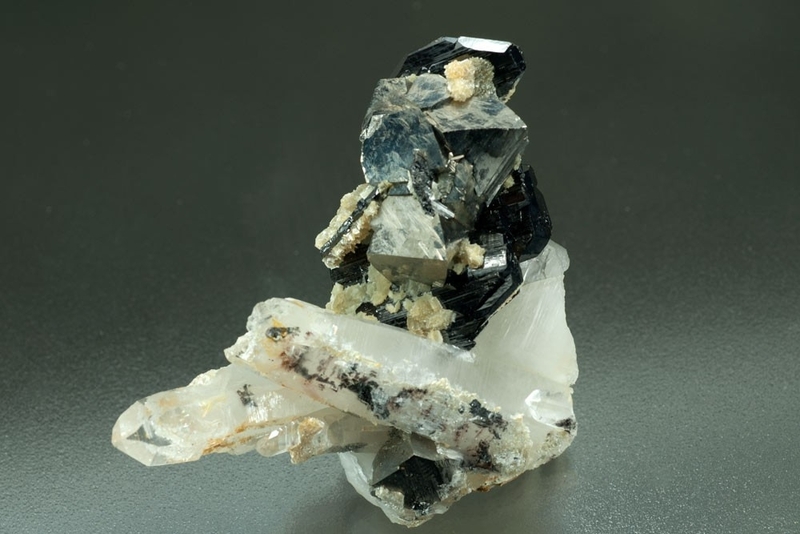 The specimen hosts a group of mirror bright arsenopyrite crystals interspersed with platey ferberite crystals on quartz crystals and suitably topped with a fine 20mm double terminated crystal. 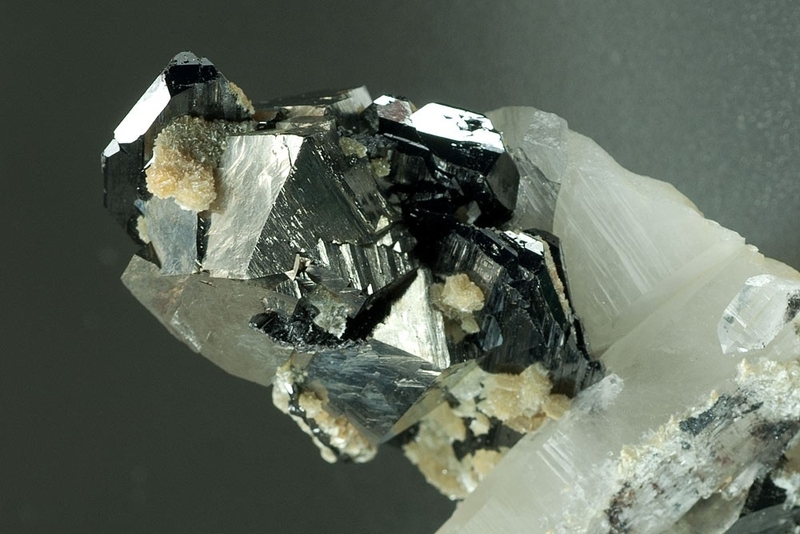 One of the quartz crystals is contacted at one end.